The Cyclo-ssage Full Body Massage Therapy System can relieve the referred nerve pain, and immobility often associated with Sciatica without medication. 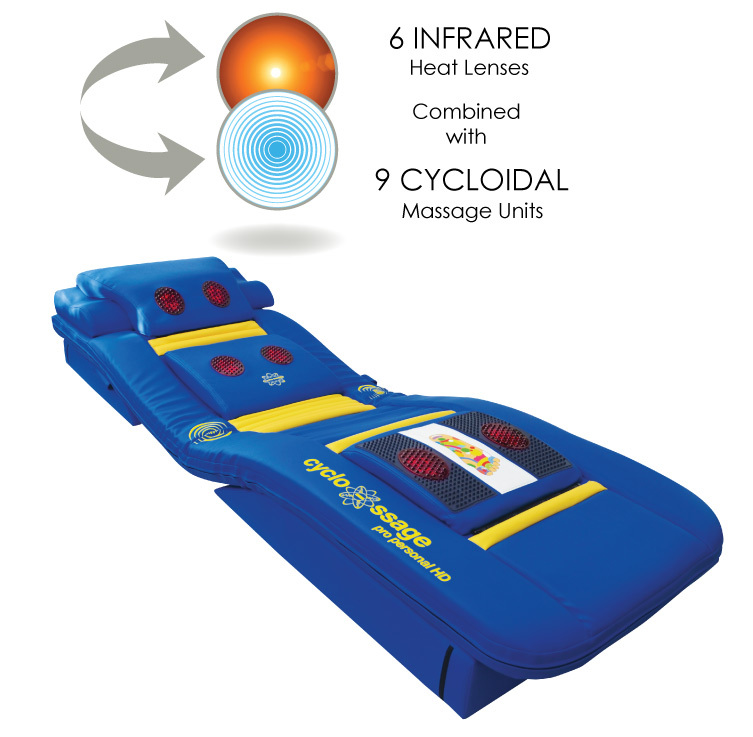 Using a combination of targeted oscillating massage and infrared heat the Cyclo-ssage Full Body Massage Therapy System will increase blood and lymphatic circulation while providing accelerated healing, relaxing muscle spasm and alleviating ache and pain. The Cyclo-ssage Massage Therapy System is designed to support the lower back, hip and knee joints in a comfortable position while enjoying the massage therapy. 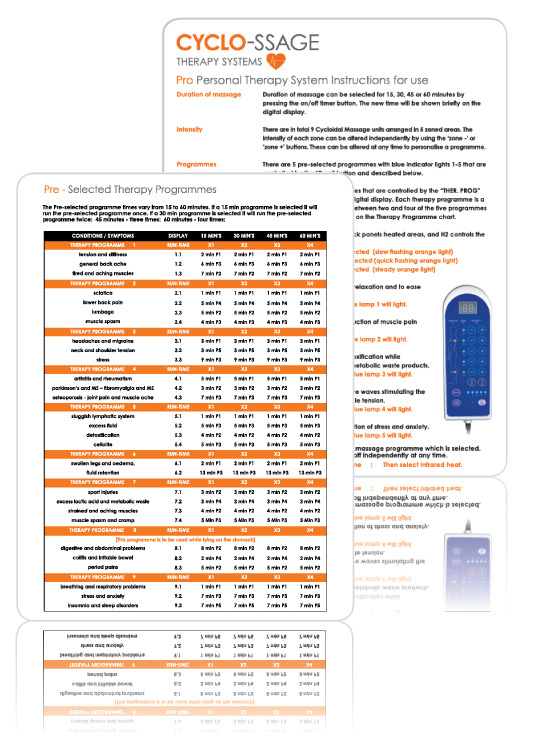 This reduces the pressure on the lower back and the sciatic nerve alleviating the referred pain, discomfort and immobility often associated with Sciatica.